Floyd Cecil Griffin, age 87 of Evergreen passed on Saturday, August 11, 2018 at his residence. A memorial service will be held at 4:00 pm Wednesday, August 15, 2018 at Worthington Funeral Home with Pastor Tracey Mull and Julius Thompson officiating. The family will receive friends following the service at the funeral home. He was the son of the late Letha Ellis Griffin and Frank Covington Griffin. He was also preceded in death by a brother, Mitchell Burgwin Griffin. He was employed by Carolina Power and Light (CP&L) for 34 years working at the Weatherspoon Power Plant in Lumberton. 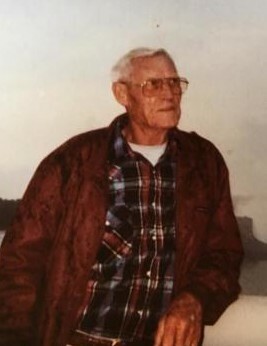 He is survived by his wife, Anna Shingleton Griffin of the home; three children, Tony Griffin (Brenda) of Evergreen, Jan Griffin of Oklahoma and Dee Griffin Lowery of Lumberton; two step-children, Richard Williamson (Becky) and Marion Williamson all of Evergreen; 4 grandchildren and 3 step-grandchildren.